Got ants? They love crumbs, sugar, or any type of food left behind. You'll often see them on your countertops and floors. They are a nuisance and can actually cause damage within your walls if they colonize. 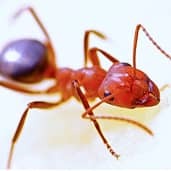 Here at PureGuard, we are experts in extermination of all kinds of ants, particularly those common to Tennessee, such as carpenter ants, fire ants, little black ants, and odorous house ants. Above all, poor sanitation is the main cause of ant infestation. When you leave dirty dishes in the sink, crumbs on the table, sweets on the counter or trash sitting out, this is an invitation for ants. These insects are in search of a viable food source and all of the above certainly fit the bill. While your problem may begin with just a few foragers, ants can become a much bigger problem when establishing colonies in walls, lawns, or under your home's foundation. Let our experienced team identify the ant species you have and develop a plan of attack to get rid of them. You should get your ant problem taken care of quickly. That's because they carry bacteria on their bodies, which spreads easily when crawling through your pantry or on your counter tops. Some species, such as carpenter and fire ants, cause problems with the worst consequences. Carpenter ants chew tunnels through wood beams to result in structural damage. Fire ants sting and cause allergic reactions. Call us for a free quote and we'll come out to inspect the property for ants. 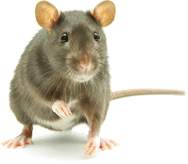 Contact us today at 615-502-2855 for comprehensive pest control in Nashville, TN and surrounding areas. Awesome customer service and did a great job. Very professional company and you can tell they are run well. No more Ants! I will definitely use them again.